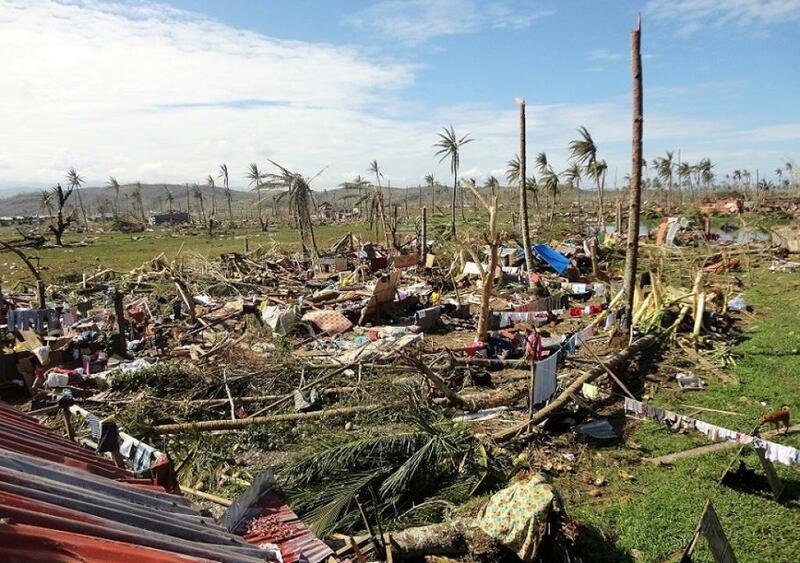 Over the next decade, poor and vulnerable countries might have to cough up US$168 billion more in interest as extreme weather events triggered by climate change affect their credit ratings, a study commissioned by the United Nations reveals. The objective of the research was to find out whether climate change is having an impact on the rate at which countries can borrow from international debt capital markets. The findings suggest that it is indeed having a major impact. 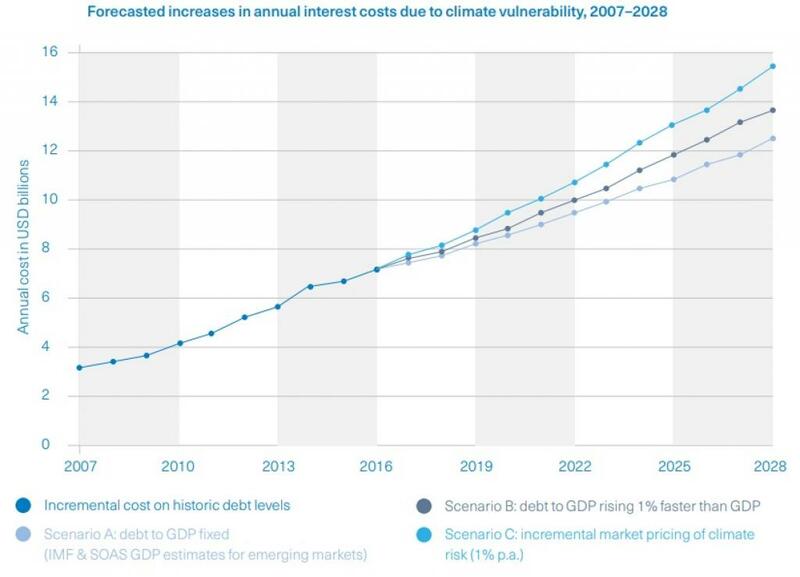 After linking measures of climate vulnerability and social preparedness with the cost of debt, the research concludes that countries with a higher degree of climate vulnerability face higher sovereign borrowing costs. Over the past 10 years, climate vulnerability has cost these developing countries over $62 billion in higher external interest payments, out of which, $40 billion was spent in additional interest payments on government debt alone. This incremental debt cost was almost $9 billion in 2016 alone. While Bangladesh’s credit rating may come under pressure due to sustained reduced rice output owing to salinisation and increased freshwater flooding, issues like increased frequency and severity of tropical storm events and sea level rise in debt-ridden Barbados can have negative credit rating implications. Similarly, Guatemala’s exposure to frequent and severe drought may lead to increased government borrowings to deal with impacts, and Kenya’s vulnerability to drought and food inflation can potentially affect country’s credit stability. “Such risks push borrowing costs up as lenders charge more. Investors ... have begun to recognise that climate change is an amplifier of these risks (and) needs to be compensated for,” says Charles Donovan, one of the authors of the study and head of the Centre for Climate Finance at the Imperial College Business School in London. According to this study, authored by researchers from Imperial College Business School and SOAS University of London, for every $10 these countries paid in interest over the past decade, $1 was attributable to climate vulnerability, which means an additional cost of $62 billion. The study calls for investing in social preparedness, which can “partially mitigate, by an estimated -0.67 per cent, the impacts of climate vulnerability on sovereign borrowing rates by increasing social and economic resilience of countries”. While there have been several studies on economic impacts of climate change on developing countries, this is a first-of-a-kind study that establishes the link between global warming and credit profiles, focusing only on members of the Climate Vulnerable Forum, a coalition of the 48 countries most affected by global warming. The research focussed exclusively on physical impacts of climate change—extreme weather shocks and severe climatic trends—which can hurt a country’s credit rating and increase sovereign bond yields.